Climate change impacts wildlife as well as people. Shorter winters, lower snowpack, and hotter summer temperatures threaten the wild residents of Missoula and the surrounding area. In some studies, researchers have shown that climate change impacts have already had negative impacts on wildlife. In the future, climate change will likely change how many, and which species we see in the Missoula area. This is a brief survey of how climate change will affect some species in the Missoula area and around Western Montana. Montana, and especially Glacier National Park, is home to the largest population of wolverines in the lower 48 states. The wolverine’s large paws and cold tolerance make it well-adapted to travelling in the snow, and female wolverines only build dens in the snow, making them vulnerable to shrinking spring snow pack. 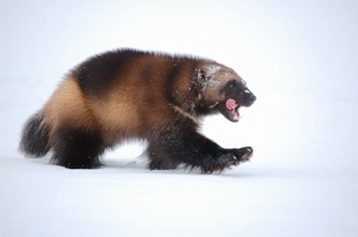 More information about Montana’s wolverines, and the state of wolverines worldwide can be found at the Wolverine Foundation, including more in-depth information about Glacier’s wolverine population. The wolverine's vulnerability to climate impact has led to a debate over its listing on the Endangered Species list. Read more about that decision here. Missoula's trout need plenty of cold water in streams and rivers to survive the hot summer. Climate change means less precipitation falls as snow, leading to low water levels in rivers in later summer. Hotter air temperatures lead to hotter water temperatures, which can stress and even kill trout. Overall, climate change is predicted to destroy a significant portion of trout habitat, likely impacting Missoula's sport fishing industry as well. Mitigation of climate impacts on trout may mean new regulation for fishermen, and more "hoot owl" closures. 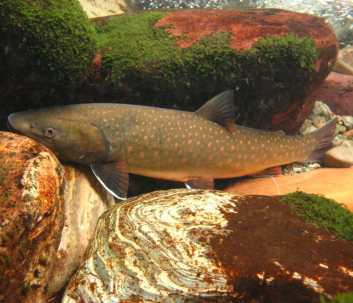 "Trout in Trouble," a report by the Natural Resources Defense Council, offers a thorough discussion of climate impacts on trout across the western US. And find more about climate impacts on Missoula's trout in the Clark Fork Coalition's report "Low Flows, Hot Trout". This robin-sized jay survives on pine seeds in high-elevation subalpine forests near Missoula. Its success is tied to healthy subalpine forests, especially whitebark pine forests in the Missoula area, for seeds for winter food. These ecosystems seem to be in decline. Pine bark beetle and white pine blister rust are decimating whitebark pines. Models suggest that this species will be gone from the Missoula area by 2080, although it may persist in higher-altitude locations. 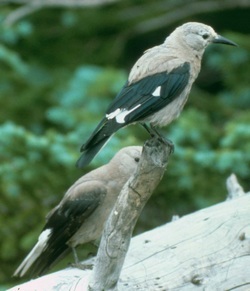 Montana Audubon "Montana Hotlist" has information on six Montana bird species at risk from climate change, including the Clark's nutcracker. To see maps of shifting distributions of Montana birds with changing climate, visit Audubon's birds and climate website. You can also learn more by scrolling down to Ecosystem Impacts section, whitebark pine forest and check out The Seed Saver article. Snowshoe hares are uniquely adapted to their seasonally-changing habitat: they grow a grey coat in the summer, and white in the winter to better blend into snowy surroundings. Their coat color change is precisely aligned with historic seasons. As climate change shortens winters in Montana, snowshoe hares white coats are mismatched with their surroundings, putting them at increased risk for predation in early spring and late fall. Additionally, their large back paws make them especially well-suited for snowy environments. 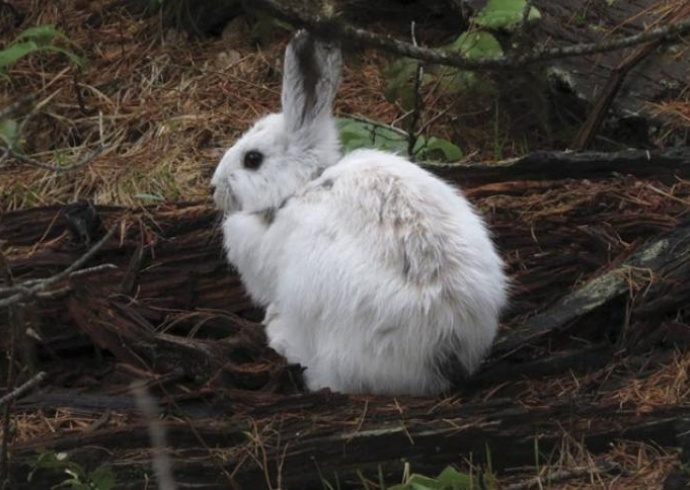 Learn more about climate impacts on snowshoe hares, and other US mammals, at the US Forest Service Climate Change Resource Center. The survival of the greater sage-grouse is dependent on large expanses of sagebrush habitat, making it a "sagebrush obligate" (a category including pronghorn antelope and many other bird species). Expanses of sagebrush that used to cover parts of the Great Plains have been fragmented by development, especially for oil and gas extraction. Climate change poses additional threats to the sagebrush ecosystem - read more about these threats below. 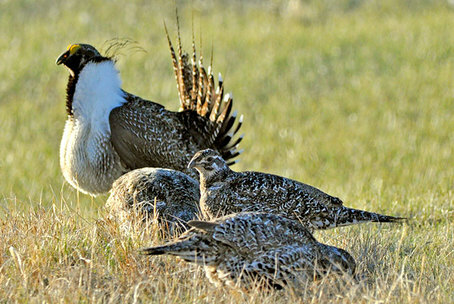 Audubon's Birds and Climate report suggests that greater sage-grouse may lose 71% of their breeding range by 2080. See a map here. And we know they are not found right around Missoula. They are, however, an iconic Montana bird. The expanses of sagebrush plains that cover much of Montana and the Great Plains are uniquely vulnerable to climate change. Cheatgrass incursion, hastened by warmer temperatures, threatens sagebrush habitat. Sagebrush, unlike cheatgrass and other annual species, can't regrow quickly after forest fires. Climate change's effects - including hotter and drier summers - will likely lead to more frequent and more severe fires in sagebrush and sagebrush/grassland ecosystems. Riparian ecosystems are defined by their dependence on water in lakes, streams, and rivers. With climate change, more of Montana's precipitation will fall as rain, leading to lower snowpack levels, and lower water levels in summer. Lower summer flows seem likely to destroy and degrade riparian habitat. Some researchers, however, have suggested that riparian ecosystems - which already cope with extreme seasonal variation - may be well suited to adapt to climate change. Found at the tops of mountains above the "tree line" - the elevation at which cold temperatures and long-lasting snowpack stop trees from growing - Alpine Meadows shelter unique species of plants and animals. As temperatures warm and snowpack decreases, trees are able to grow at higher altitudes, causing alpine meadow ecosystems to shrink or simply disappear. As this habitat vanishes, species dependent upon it, like bighorn sheep and pika, are threatened. The effects of pine bark beetles, which can only be killed by extended cold winter temperatures, have begun to change the appearance of Western pine forests. White pine blister rust, a recently-introduced pathogen, also poses a danger to whitebark pine forests in the Missoula area. More frequent and more severe forest fires also will likely change pine forest ecosystems, although the exact effects are not clear. This high elevation pine forest is at risk from climate change and an invasive blister rust. Check out this very cool bioGraphic article - The Seed Savers - to learn about the fascinating complexities and the immense dedication of those trying to keep Whitebark Pines on the planet (Nov. 2016). Documenting climate change's effects of wildlife populations is crucial to protecting the wild species that live all around us. Cornell Lab has a great two page list of options, many of which work in Montana! A cool story: The hermit who inadvertently shaped climate science. This page was developed in July 2016 for Climate Smart by Dylan MacArthur-Waltz. Thank you Dylan!